If you’re looking to get more out of your workouts or are having a hard time motivating yourself to work out, a group workout class may just be the solution for you. 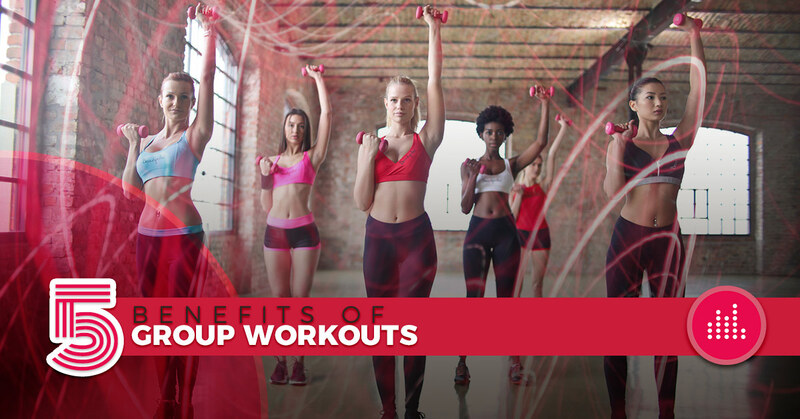 With group fitness classes, you’ll enjoy many benefits while getting in shape. For a fitness class in Eagle, you can try Barre Rhythm as a fun way to improve your workouts and get you outside. If you’re kicking off a new fitness regime, going into the gym can be overwhelming. Equipment, machines, and techniques you don’t have experience with can be intimidating and prevent you from getting the most out of your workout. When you attend a group fitness class, however, no previous knowledge is necessary! You’ll learn the techniques in a fun, nonjudgmental environment and feel empowered to improve your health. Another struggle many people face when implementing a new workout schedule is knowing how much to do, how often to do it, and how to protect their bodies. Injuring yourself is never fun, and if you’re working out in the gym without guidance, it’s possible. 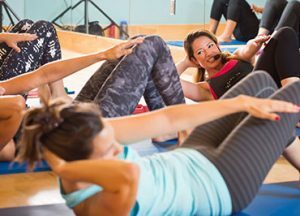 With a workout class, you’ll have an instructor who can provide you with modifications when necessary, ensure you’re using proper form, and implement a warm-up, an effective workout, and a cool-down. How often do you see people marching away on the treadmill and actually enjoying themselves? Going to your local fitness gym day after day can become monotonous if you’re doing the same tasks each time. With a group workout like Barre Rhythm, you’ll be trying something new every time you come to class. Additionally, there are many different workout classes to choose from! Not feeling like attending a fitness class on a given day? Your new friends at your group workout will hold you accountable (in a friendly way) and you’ll have more motivation to stick to your goals. It’s empowering to attend an engaging class with a dedicated instructor and supportive, like-minded people. A lot of group fitness classes also require you to sign up in advance. You’re more likely to hold yourself accountable if you signed up previously. There’s no denying that group workouts are fun. The fast-paced environment, energetic instructor, and upbeat music all play a role in this. So why not burn calories and build strength in a way that’s fun? This fun might just help your health, too. A 2017 study found that participation in regular group fitness classes led to a significant decrease in stress and an increase in physical, mental, and emotional quality of life. With Barre Rhythm classes, you’ll get personalized playlists from Angela Muzic, your instructor and DJ. You’ll work out outside whenever weather permits. You’ll meet friends, learn new techniques, and enjoy workouts that are far from monotonous. Learn more about Barre Rhythm and register today. Here in Eagle Valley, we know you like to get outside and enjoy nature. By getting fit with our fitness class, you’ll have increased energy to do just that.